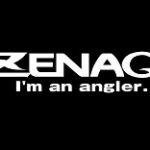 ZENAQ Rods are hand made rods exclusively for the demanding angler. Focused on all types of spinning and shore jigging, ZENAQ range has many models for each technique. Especially in shore jigging MUTHOS series, ZENAQ has 22 different models ready to satisfy you. On spinning, light game and eging, ZENAQ has numerous models that take fishing on another level. When it comes for lure fishing, ZENAQ holds the scepter of high end rods and no matter what your needs are, ZENAQ has a rod specially for them.